It’s August, and that means it’s the Buwan ng Wika (National Language Month)! For this month, I’m putting this post out as a part of Shealea’s #Augvocacy2018 blog hop. 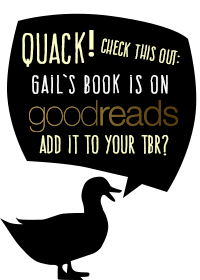 I’m Gail, and I’m a web designer and a children’s book author. My middle grade debut, My Fate According to the Butterfly (please add it on Goodreads! 😘), is coming out from Scholastic in 2019. My book has a soon-to-be 11-year-old Filipina protagonist, and set in Metro Manila amidst the Philippine war on drugs. It’s not as heavy as it sounds. There’s cheese ice cream, the infamous MRT, sibling love, forgiveness, superstitions, and a duck who poops a lot (I’m terrible with blurbs, sorry). Let me talk about my house for a bit (it’s relevant, I swear). My husband and I live with the family in a bungalow in a gated, middle class subdivision in the outskirts of Metro Manila. There aren’t many mansions here, and the houses are built very close together. So we’re lucky there’s an empty corner lot to the right of our house, which brings a refreshing breeze during hot summer months. You see, when we first bought the house, there was also an empty lot behind it. Then a few months ago, a family built a three-story house (yep, three stories) on the land. My new neighbors are nice and sweet and everything, but we had been hoping to buy the lot so it was kind of annoying they bought it first. Our neighbor’s elevated position makes it easy for them to look in on us. And, as I found out accidentally, I could see what goes on in one of their rooms when their windows are open. Nope. I am not a peeping tom. It was truly an accident. I was cleaning the ducks’ pool when I heard some loud classical music. We hear music coming from their house all the time, but it was never this loud. I looked up (and so did the ducks), and found my neighbor playing the piano with his eyes closed, totally at peace. I turned away to give him his privacy, but I already had a glimpse—it was this man who was playing the beautiful music we’ve been hearing. Books are a lot like that to me. They’re windows to worlds I otherwise would not know about, worlds very different from my own. I can look in, and get a glimpse of a life I myself do not experience. This, I think, is an important aspect of encouraging reading—especially to young children. Giving them a glimpse of cultures unlike their own builds empathy, shaping their hearts and minds into becoming compassionate human beings. But of course, books as windows aren’t enough. Even as a kid, I loved books. I read anything and everything I could get my hands on. Fantasy, science fiction, contemporary, mystery—you name it, I read it. I lived in the Philippines (I still do), and books from the United States dominated our stores (they still do). Those stories fascinated me. Still, there was one thing Kid Reader Gail always wondered about. Were there no Filipinos like me in the US? I had cousins, aunts, and uncles who lived there. They spoke English, and had cereals for breakfast instead of steamed rice, fried egg, and dried fish. But it was hard for me to imagine them going on adventures like the fair-skinned boys and girls I kept reading about. They just weren’t there—brown heroes and heroines didn’t exist. Kid Reader Gail never saw herself in the books she read. Had I been a kid now, I would have devoured Erin Entrada Kelly’s books such as Blackbird Fly, The Land of Forgotten Girls, Hello, Universe, and You Go First. I might have even camped out the bookstore on the release day of Marie Miranda Cruz’s Everlasting Nora. Filipino stories by Filipino authors. They’re the representation that tell Filipino kids their stories are worth telling—that they matter. Windows and mirrors. This was the main reason I became an author in the first place, to let Filipino kids see themselves in the books they read, and give other children a glimpse of what it means to be a Filipino (at least to me). To create stories that are both specific to Filipinos and universal at the same time. It hasn’t been an easy journey, mind you. But it is SO. WORTH. IT. This may sound totally cliche, but the kids are our future. And books—this culture of reading—can help them become the best they can be. For more information about #Augvocacy2018, visit Shealea’s blog. To make Buwan ng Wika even more fun, #Augvocacy2018 will have a giveaway you can join! 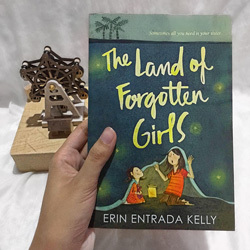 There will be two (2) winners—one Philippine-based winner, and one international winner (provided that Book Depository ships to their country)—of guess what… Paperback copy of The Land of Forgotten Girls by Erin Entrada Kelly! 🙂 The raffle will run from August 1, 2018 (midnight) to September 1, 2018 (midnight). Timezone follows Philippine Time. 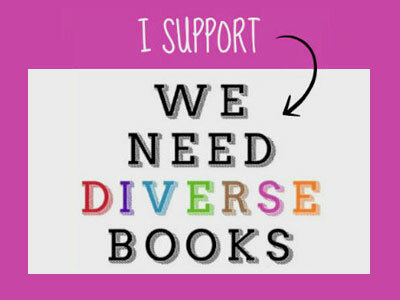 I definitely added your book to my TBR as I love to read about books featuring cultures unlike mine. I love to read middle grade and learn while having fun. I so agree that kids need to be able to see themselves in books. Congrats on your amazing book! This blog represents my opinions and thoughts at the time, not my work or employer. I reserve the right to delete any comment on my blog (eg. statements that are abusive, profane, rude, or off topic). I'm Gail. I'm a Filipina author born and based in the Philippines. I'm also a web designer, an entrepreneur, and a graphic artist. I love pineapple pizza, seafood, and chocolate, but not in a single dish together (eww). My husband and I live in the outskirts of Manila with our dogs, ducks, turtles, cats, and one friendly but lonesome chicken. My Fate According to the Butterfly is my debut novel.